Experience next-level comfort and productivity with the powerful MK850 Performance. Youâ€™ll conquer work in comfort thanks to the cushioned palm rest, curved keyframe and contoured mouse. Switch between screens on both your keyboard and mouse for seamless multi-tasking. Start typing on your computer, then switch to your tablet, phone or computer with the touch of a button. Your mouse pairs with up to 3 devices for seamless multi-tasking. 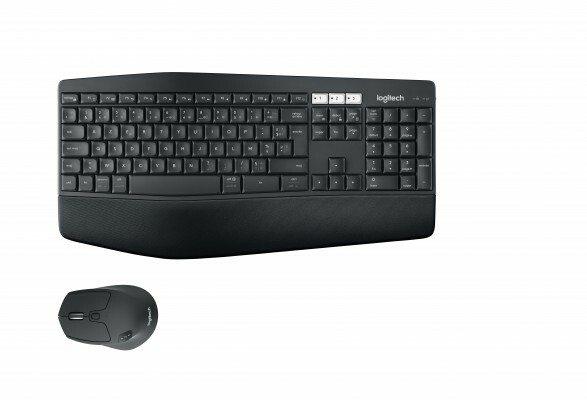 Finally, a keyboard and mouse combo that truly works together. DuoLink allows your mouse buttons to have a different set of actions when you hold the Fn key. You can also move the mouse with the Fn key down to perform gesture-controlled actions. Your keyboard wonâ€™t require new batteries for 36 months and your mouse stays powered for 24 months. Connect wirelessly to your devices with Logitech Unifyingâ„¢ USB receiver or pair via BluetoothÂ® low energy technology.